Social networks have long been seen as a ‘leveller’, enabling local businesses to compete with big brands for a decent share of customer attention. In many respects local businesses are better placed to take advantage of social media than big brands. They find it easier to create meaningful relationships with their customers – they might even be on first name terms – and, since the majority of their customers’ social media connections will also live locally, are well placed to benefit from recommendations. As well using social networks to engage with existing customers online, businesses are also attracting new ones. The fact that there are over 1 billion smart-phone users and that 40% of mobile searches are for local businesses gives an indication of the importance of having a strong web presence and making your business easy to find. Yet lots of small businesses are still not tapping into their online communities. To help fix this situation – we’ve produced this handy infographic which highlights the importance of online communities and how local businesses can make the most of them. One of the key things the infographic highlights is the sheer number of small businesses that are already using social networks and gaining new customers as a result. Almost three quarters of small businesses use Facebook and over half are using LinkedIn and Twitter. Added to that, research by Manta suggests that 78% of small businesses are gaining a significant proportion of new customers through social media. Generation Y in particular are using social networks to inform purchase decisions, with 61% turning to social media to decide where to go when going out. Online reviews also play a significant role in this, with 52% saying that positive online reviews make them more likely to use a local business. Promotions offer a great way to reward existing customers and to attract new ones, with 73% of consumers saying they search for discounts and promotions online. They are also a great way of increasing footfall, with research showing that 59% of consumers have gone into a store or business premises as a result of finding an offer or coupon online. Of course, social media can’t stand on its own: email marketing is another hugely valuable tool for local businesses. There are roughly 3 billion email users in the world and 19% of all time spent online is devoted to reading and responding to emails. As a marketing tool it is clearly has value – 77% of small businesses have reported email marketing increases their revenues and as a result, 85% plan to increase their use of email in 2013. 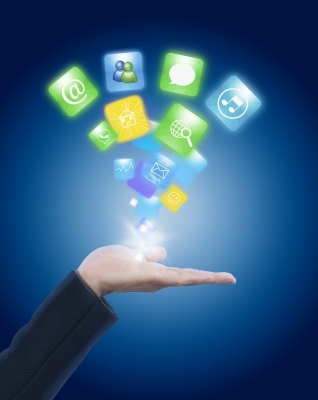 It’s also important to consider the role that SMS marketing can play. It’s estimated that 8,000,000,000,000 text messages were sent last year (yes, try saying that number!) and 90% of them were read within 3 minutes. With such a high open rate, it’s a great way to advertise promotions to your community or to send reminders – so long as you’ve got their permission to text them. Of course, all of this takes time and that’s why we created Eventility. 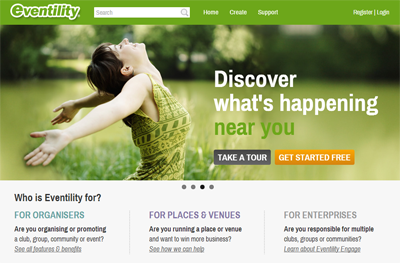 If you haven’t tried us out yet – Eventility brings all of this into one easy-to-use online platform, offering an effective way to manage and promote your business. You can manage your contacts, organise and advertise events, run targeted promotions, manage your social media engagement, collect customer reviews, add your location to online maps, deliver SMS marketing and send emails with in-built tracking – all using one powerful tool – plus we can power your website too. Here at Eventility we love your feedback and are working hard to over-deliver on our promise of ‘Organisation and Promotion Made Easy’. This week, we’ve got a treat in store when you log-in to add or edit your event. We’ve taken all your feedback and released a new version of our Events Engine with an even simpler interface! As always, we love to hear your feedback so please keep it coming. We’ve got lots more great updates in store just around the corner.